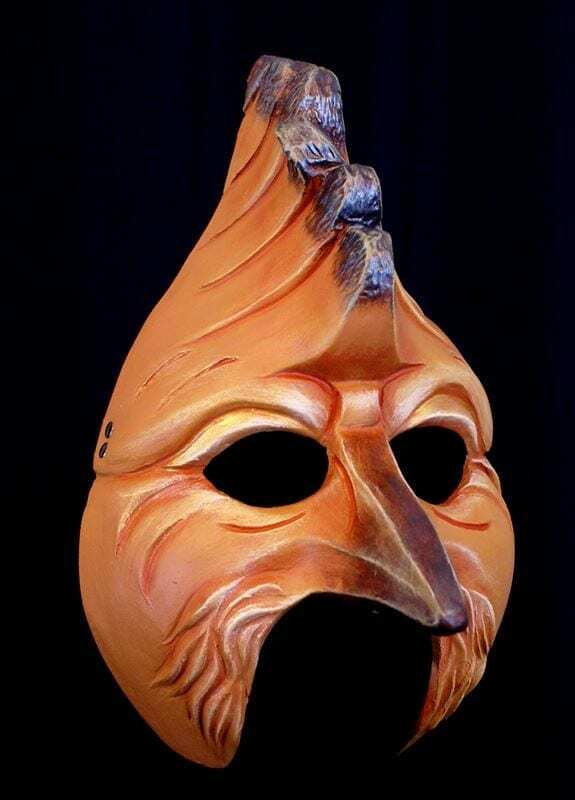 The Hoope Bird mask was originally created for Greek Theater. This theater mask is offered in the animal and insect category because of its power to stand alone as an expressive form outside of its original context. The Hoopoe is sometimes considered the ruler of all birds and was considered sacred in ancient Egypt. The Hoopoe is the national bird of Israel and was considered as a symbol of purity by the Persians. This bird is the leader of the quest in Conference of the Birds.